It’s Friday night in Manchester, U.K., and the doors to Cha Cha Boudoir have just opened. The club night, described as a place where “passion, glamour and illicit behaviour is wrapped up in one night of camp performances and soapbox disco,” sees an array of outlandish and extravagant personalities — and outfits — enter for a view of the city’s thriving queer culture. But there’s one person hanging around the entrance who can’t quite bring themselves to enter the club — not tonight, anyway. After an hour of almost plucking up the courage, they eventually decide to go home. But they’ll be back. 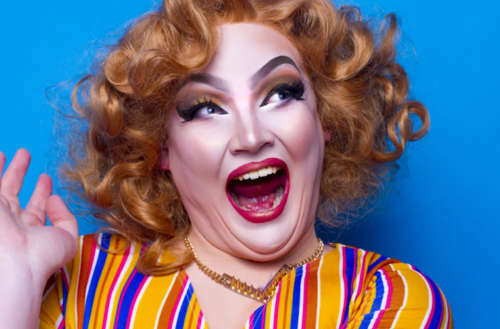 Flash forward to two and a half years later and that same person is now a fixture of Manchester’s bustling queer scene, known as the incredibly named Donna Trump. Ultimately, the housewife was an elephant, the husband her circus ringmaster. The performance ended with the elephant literally becoming a trophy wife on the wall of her husband’s stately home. “I’m definitely a subtle person,” she tries to convince us — unsuccessfully. This U.K. queen, real name Kieran, actually performed under the name Knickerbocker Glory that first night, but a drunken conversation about silly drag names resulted in “Donna Trump” as the name that stuck. “The two reasons were the politics lying around it, and the fact that when you say it in a Birmingham accent it sounds like a fart joke,” she proudly admits. When asked about how family responded to discovering Donna Trump, she happily tells us, “They see it as something that I really love doing and think it’s really creative. They’re really proud of me.” A sister, aptly named Donna herself, proudly shares videos of performances around the office. “People say I’m a very confident person but I’m actually kind of an introverted extrovert, one of those paradoxes. I definitely feel like when I’m Donna Trump, I can achieve anything. The possibilities are really endless. 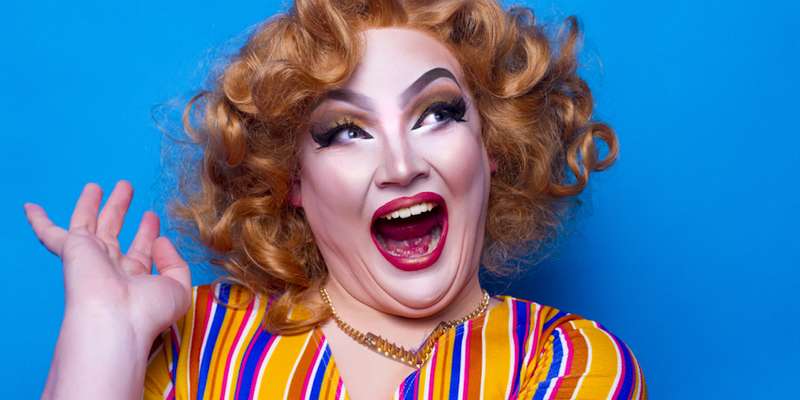 In the local Manchester scene, Donna Trump is most recognized for her stand-out characters, which form the storytelling part of a crowd-pleasing lip-sync and comedy routine. 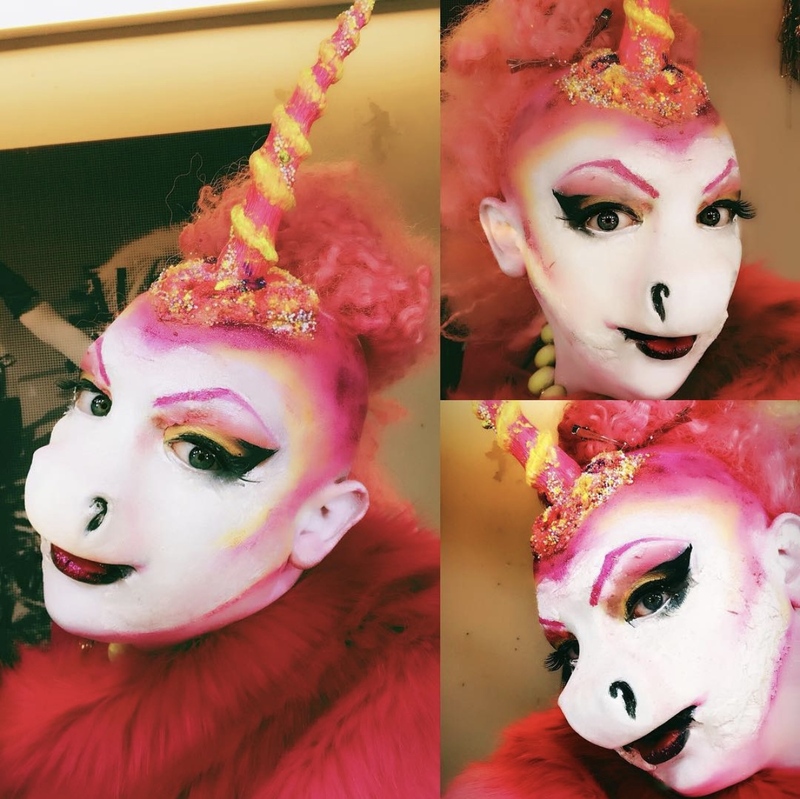 Alongside elephant housewives she’s performed as a range of animals including a dragon and Donald Duck — many of which have been the results of collaborations with other artists, like Lizzie Biscuits. One notable performance involving an air hostess dodo bird singing R. Kelly’s “I Believe I Can Fly” has helped Donna Trump get noticed around the world. While on the surface the performances are meant to incite laughter, there are also elements of politics to many of them. “One of the biggest inspirations behind my anthropomorphism was George Orwell’s book Animal Farm,” she tells Hornet. More recently Donna Trump experienced another side of Manchester’s nightlife while on a bar crawl with some of the queens from Dragula. 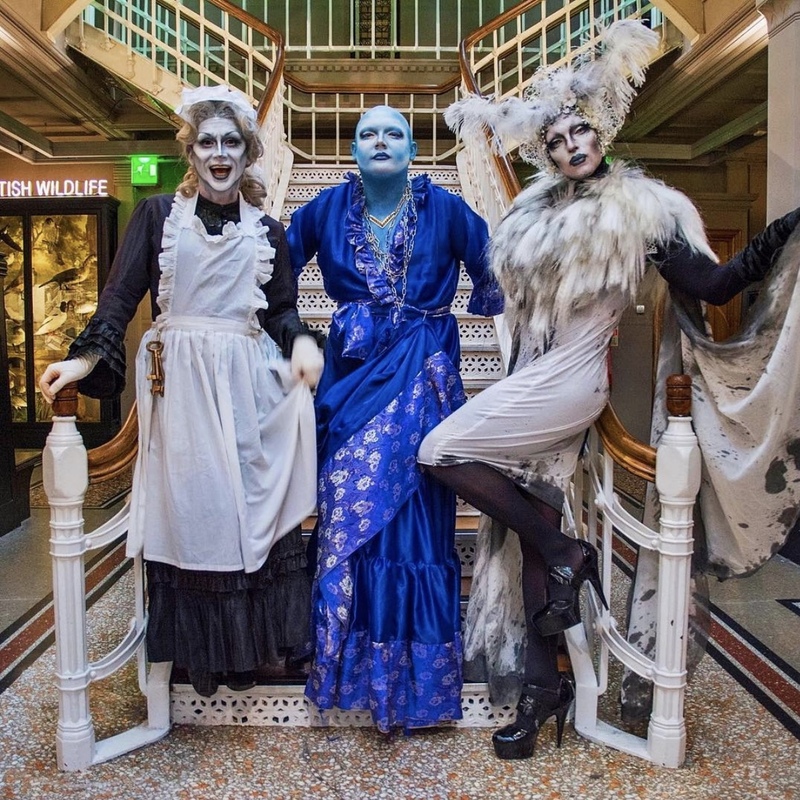 (The Boulet Brothers just produced a tour of the UK featuring some of that drag-based reality competition show’s past contestants and winners.) Following their night out, Dragula Season 1 winner Vander Von Odd publicly called out the Manchester Eagle for denying entry to a female in their party, as it’s a male-only basement bar. You can’t get better advice than that, really. 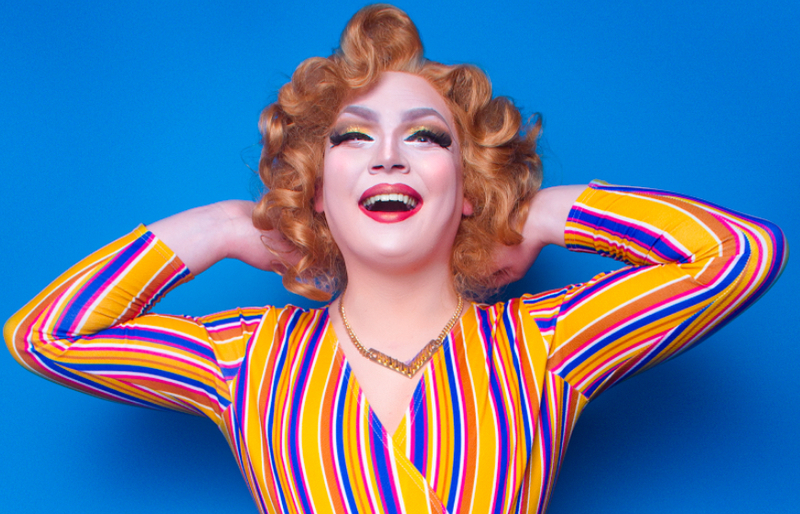 Catch Donna Trump at RuPaul’s DragCon NYC later this month, and on Twitter and Instagram. Adam Maidment is a freelance writer. Follow him on Twitter.